Tom Hillebrand, from Claremont, New Hampshire, made quick work of his fall Unimak permit. Tom hunted the north side of Unimak in the fall at one of the most abundant salmon rivers on the Island. 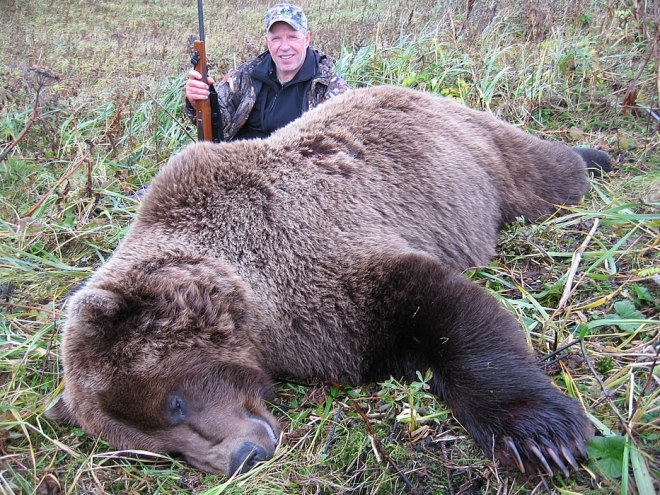 It only took a couple days for Tom to choose this 9’6” bruin with a premium hide for his trophy collection.